We explained the first five categories in article “Generators Sizing Calculations – Part Seven”. The most important step in sizing a generator set is to identify every type and size of generator loads. It is necessary to segregate these loads in different application categories after gathering a reasonably accurate load schedules. High-intensity Discharge (HID) and arc. Incandescent Lighting: very large blocks of tungsten lighting load may cause a momentary voltage dip transient to occur. Most of these loads are single phase loads and it is necessary to know whether they are connected between phase and neutral or between phase and phase.one of the most important heating loads are the furnaces. Generally, furnace loads are single phase loads for connection between lines. If such furnaces are provided with a balancing network, they impose less severe duty on AC generators. The power factor of the furnace and the transient load imposed are the other aspects to be considered. Where furnaces are controlled by thyristors, they present additional harmonics problems. These loads fluctuate within wide limits. These fluctuations cause fluctuations in output voltage and frequency of the generator, which might affect other connected loads. Further, such loads need careful and detailed study before deciding the set rating. Normally and oversized generator which is rated 30% to 40% higher than the estimated steady continuous load, functions satisfactorily. Welders draw erratic fluctuating current. These current fluctuations produce voltage waveform distortion due to relatively high-load source impedance. Generator sets may require significant de-rating with welder loads. For accurate generator sizing for motor loads we must calculate the motor loads’ starting and running requirements. Generally, we can characterize motor loads as high inertia or as low-inertia loads for the purpose of determining engine power needed to start and accelerate motor loads. They include fans and centrifugal blowers, rotary compressors, rotary and centrifugal pumps. They include elevators, single- and multi-cylinder pumps, single- and multi-cylinder compressors, rock crushers, and conveyors. A large motor started across the line with a generator set represents a low-impedance load while at locked rotor or initial stalled condition. The result is a high inrush current, typically six times the motor rated (running) current. The high inrush current causes generator voltage dip which can affect other systems. The manner in which generator voltage recovers from this dip is a function of the relative sizes of the generator, the motor, engine power (kW capacity) and generator excitation forcing capability. Depending on the severity of the load, the generator should be sized to recover to rated voltage within a few seconds, if not cycles. Various types of reduced-voltage motor starters are available to reduce the starting kVA of a motor in applications where reduced motor torque is acceptable. Reducing motor starting kVA can reduce the voltage dip, the size of the generator set, and provide a softer mechanical start. However, these starting methods should only be applied to low-inertia motor loads unless it can be determined that the motor will produce adequate accelerating torque during starting. These drives rectify incoming AC power to form DC power. The DC is used to either power a DC motor directly, or power an inverter that converts DC back into AC at a desired voltage and frequency for driving a motor at any speed at any point in time. The rectification of AC with SCR’s distorts current waveforms and subsequently causes distorted voltage waveforms, which can have impact on other equipment connected to the same source. VFD’s start at zero frequency and ramp up to a set point. Variable voltage drives start at zero voltage and ramp up to a selected point. Both are under a current or torque limit to avoid large inrush current. Generally, when these drives represent more than 25% of the total load on the generator set, larger alternators are required to prevent overheating due to the harmonic currents induced by the VFD and to lower system voltage distortion by lowering alternator reactance. Larger generators have greater reduction in impedance of the generator; this reduces the effects of the harmonic current distortion. When Total Harmonic Distortion (THD) exceeds 15%, additional generator capacity may be needed. For example, VFD loads on a generator must be less than approximately 50 percent of generator capacity to limit total harmonic distortion to less than 15 percent. UPS system uses silicon controlled rectifiers or other static devices to convert AC voltage to DC voltage for charging storage batteries and are another type of non-linear load. Larger alternators are required to prevent overheating due to the harmonic currents induced by the rectifiers and to limit system voltage distortion by lowering alternator reactance. Past problems of incompatibility between generator sets and static UPS devices lead to many misconceptions about sizing generator sets for this type of load. Most UPS manufacturers have addressed these issues and it is now more cost effective to require UPS devices to be compatible with the generator set than to significantly oversize the generator for the UPS. Use the full nameplate rating of the UPS for determining load to allow sufficient capacity for generator set battery charging and accommodating full UPS load capacity. However, UPS loads will be discussed in detail in next article when explaining the special cases for generator sizing calculation. A battery charger is a non-linear load requiring an oversized alternator based on the number of rectifiers (pulses)—up to 2.5 times the steady-state running load for three pulse; to 1.15 times the steady-state running load for 12-pulse. These loads are typically found in telecommunications systems. Critical loads are loads that cannot tolerate voltage and frequency dips. Medical equipment, Data centers and communication equipment are examples of critical loads. X-Ray equipment typically needs very short duration, high voltage from power supplies. This need results in high current draw in short durations, which in turn results in low kW demand at near unity power factor. Power source equipment should be selected to maintain x-ray quality. As x-ray equipment is activated, voltage dip due to inrush should be within 10% or within the manufacturer’s recommended tolerance. These loads generally represent only a small part of the generator load, so x-ray pictures are not normally affected. Data centers require a reliable power source. Power quality requirements should be considered prior to power system design. As a rule, avoid heavy SCR (Silicon Controlled Rectifier) loads, block switching loads and large motor kVA on data processing equipment power circuits. Communication equipment includes broad ranges of electronic devices for transmission of information. Most common are radio and television broadcasting equipment, studio equipment, transmitters and telephone equipment. Generally, all devices pass their power supply through transformers. Therefore, power factor is slightly less than unity. Most equipment tolerates frequency variations of ±5%, except where synchronous timing from the power source is used. Voltage variations of ±10% are usually acceptable since electronic circuits sensitive to voltage variations contain internal regulation circuitry. Power for complex telephone systems is frequently supplied from building system mains. Voltage and frequency stability requirements are usually not severe, however solid-state battery charging equipment may be part of the load and create disturbance to a generator power source. Some motor applications, such as elevators, cranes and hoists, depend on motors for braking. If a mechanical load causes the motor to turn faster than synchronous speed, the motor will act as a generator and feed power back into the system. The term “regenerative power” is sometimes used to describe the power produced by these loads. If no other loads are connected to absorb this energy, these loads will cause the generator to act as a motor, possibly causing engine over-speed which can lead to engine failure/shutdown. Regenerative power is usually not a problem when the utility is supplying power because it can be considered as an infinite power source with many loads. Only engine frictional horsepower can be relied on for braking. Exceeding frictional horsepower causes the generator set over-speed. In calculating the ability of a system to overcome regenerative power, it is conservatively recommended that only engine friction horsepower be considered. Engine friction horsepower at synchronous speeds is available from the engine manufacturer. Typically, a generator set will retard approximately 10% of its rating. When combinations of connected load and engine frictional horsepower are not sufficient to restrain regenerative energy, load banks may be added to protect the generator from being affected regeneration. It is the deliberate control of loads on a generator and/or utility to have the lowest possible electrical costs. Knowing the type of load management that is most economical to a facility can help determine the size of generator needed based on the load factor and application. Prime Power in accordance with ISO 8528. Overload Power in accordance with ISO 3046/1, AS2789, DIN6271 and BS5514. Output available without varying load for unlimited time. Continuous Power in accordance with ISO 8528, ISO 3046/1, AS2789, DIN6271 and BS5514. 100% of continuous rating used 100% of the time. Base load, utility, peak sharing, cogeneration, parallel operation. Figure.1 shows how a utility customer can qualify for a dis-counted rate by not allowing the power demand to be above 500 kW. Any power generated over 500 kW is supplied by the customer’s generator. 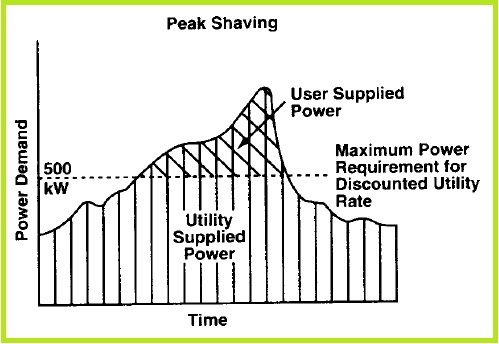 Thus, the customer “shaves” the peaks from the utilities’ responsibility. Peak shaving can be very demanding on an engine; it must be able to start quickly and automatically parallel to the utility. The response time of the engine is crucial because of the load fluctuations. The least demanding power management type on an engine is base loading. The generator operates at a constant load and the utility imports power when the load exceeds the generator output. 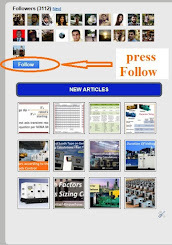 The user can also export power to the utility if the load is below the output of the generator. 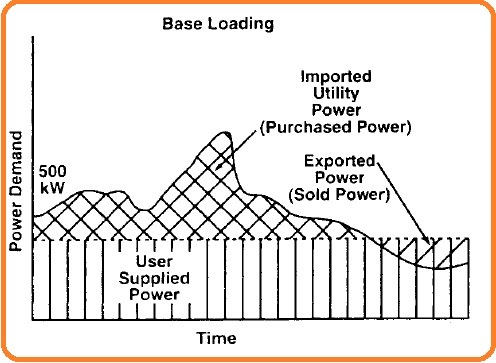 Figure.2 shows a base loading system and indicates when power would be imported or exported. Since overloads are handled by the utility and the generator set is operating at a constant load, size and engine response time are not as crucial as in peak shaving. 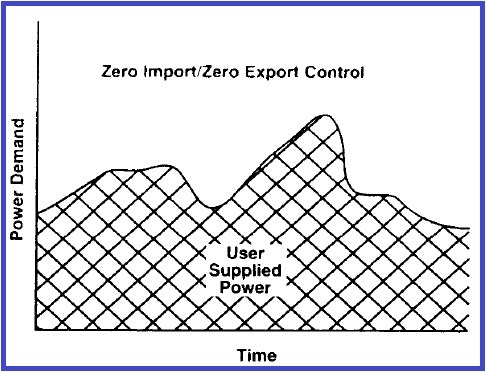 The load management type in which the customer supplies all the electrical needs to the facility, while still paralleling with the utility is called Zero Import/Zero Export control. 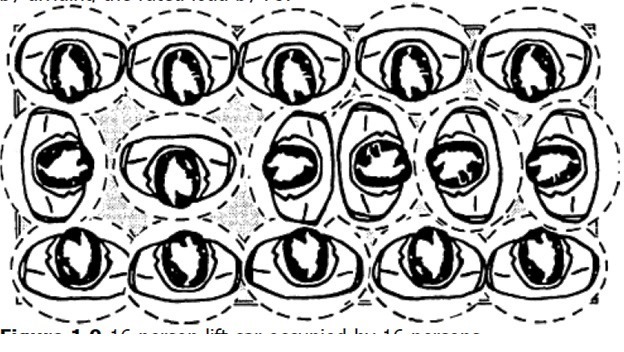 Refer to Figure.3. If the power requirements fluctuate widely, a series of generator sets can be used and brought on-line as required. Since the customer remains paralleled to the utility, the demands made on the engines for this type are similar to base loading. Reliability is the chief concern for these customers. Utilities will often invoke demand charge penalties each time they are called upon to supply power. In a typical peak sharing arrangement, the customer installs and operates generators of specified capacity when directed to do so by the utility company. Under many peak sharing contracts, utilities compensate the customer for each time they operate their onsite generators. Co-generation is the term used to describe the load management system that produces electricity for lighting and equipment operations while at the same time it utilizes the waste heat produced in the exhaust for heating, cooling, or generation of process steam. Co-generation plants can operate independently of the utility or in parallel so the co-generator can purchase from or sell power to the utility. Assessing the customer’s load profiles is a key component to establishing their load management strategy and ultimately the size of generator needed to operate within that profile. Chronological and duration curves used to illustrate the load profiles according to the nature of the load. Such curves are developed for a week, month, season or year. It is useful in programming generator units for economical operation. The daily chart represents the average kilowatt load for each day. 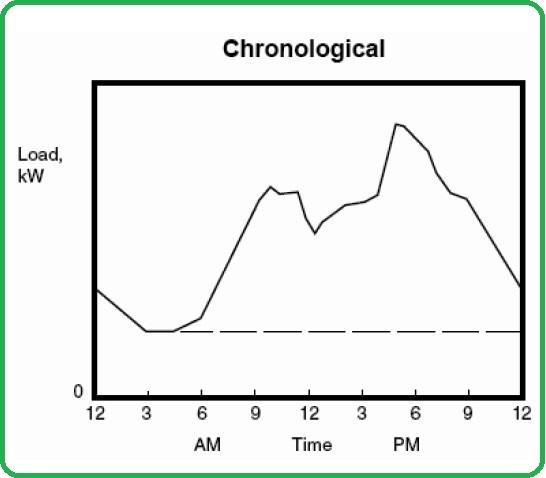 A daily chronological load curve, illustrated in Figure.4, shows load demand throughout the day. The purpose of the monthly average number is to be able to graph a complete year and determine any seasonal variations. The twelve-month chart, shown in Figure.5, represents the average kilowatt load for each month. For existing loads that are served by a utility, power bills or power consumption records will provide the needed data for a twelve-month period. Unless the load is known to be steady, this average cannot be used to establish the engine and generator requirements because the average will always be lower than the maximum kW demand. The time it takes to initiate a generator startup and when it is ready to accept load is defined as its starting requirement. Starting requirements will vary depending on the application. A typical starting requirement is 10 to 30 seconds. Load Acceptance is the point at which breaker closure is initiated. This is considered to be 90% of rated frequency. Cranking batteries must be adequately sized and fully charged. Combustion air must be a minimum of 21°C (70°F). A jacket water heater to maintain a minimum of 32°C (90°F) jacket water temperature. A readily available supply of clean fuel. The generator rotating inertia must not exceed that of the standard Generator. Any variation in these conditions will affect the start time. There is a difference for battery versus ambient temperature sizing. Also, in cases where air starting is used, the air system must supply the required air volume and maintain a 100 psi (689.5 kPa) minimum pressure. Special engine conditioning is required for a natural gas engine to start in 10 seconds. Ten-second starting is only possible on specific gas engines. Starting condition requirements for natural gas engines are the same as diesel engine starting requirements, except for one detail: The solenoid gas valve must be located as closely as possible to the carburetor or “A” regulator, depending on the fuel train consists. A maximum distance of 0.61 m (2 ft) is desired. A customer’s starting time requirements should be determined before sizing the generator. A quick starting application requires consideration of altitude, temperature and other factors that affect the engine starting to find the best solution. The standard NFPA 99 is written specifically for health care facilities. Customers requiring this capability can achieve it by using the correct generator system. Select an appropriate generator according to this standard for all health care facilities in the United States.